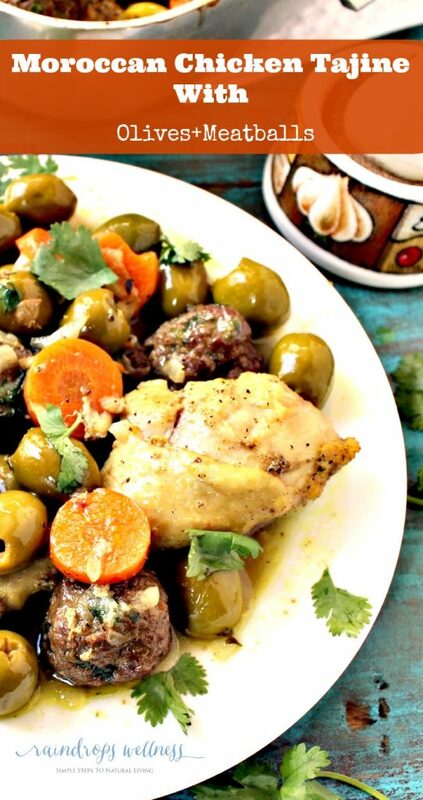 Chicken tajine is one of the famous traditional food in Morocco. Whenever I think about a tajine meal I imagine a dish full of different spices and flavors. I also imagine traveling the Sahara desert and exploring the beauty of an amazing ethnic culture. I got a chance to visit Morocco in 2005 with a group of french friends. I speak both arabic and berber, so I was guiding them around. I had such an amazing experience and the best of it was the food. This recipe is so loved by everyone in my family. I cook it very often during the holy month of Ramadan. 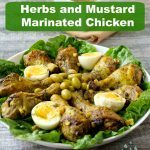 The chicken and meatballs combination makes this recipe a more nutrient dense meal . More protein for the body to be able to function in a normal way for several hours of fasting during the day. This to say that this recipe is very filling. I love cooking this dish in this le creuset cast iron brainer. If you have a tajine it’s best, but this braiser cooks it perfect too. I recommend this tajine. To give your tajines more flavor, stock up on North African spice. You can click on each spice in the ingredients to get it. In a crockpot , melt the the fat over medium heat. Add the chicken, diced onion, salt and pepper and cook for 10 minutes. Season with saffron, cumin and add the preserved lemon, tomatoe, coriander and parsley and cook by tearing time to time for another 10 minutes. Add water or chicken broth and cover. Bring the mixture to boil and then reduce the heat to medium-low. While the chicken is cooking form the meatballs by mixing all the ingredients together. put some fat in a pan and sauté the meatballs for just 5 minutes to give them that grilling look and put them aside. Also bring a saucepan of 3 cups of water to boil and put the olives and boil for 10 minutes, then drain. Slowly add the meatballs and the olives into the chicken sauce and let everything cook for another 30 minutes. I love this recipe! It sounds so delicious and full of flavour! Plus the pictures are making me drool. Really can’t wait to give it a go! Thank you Massiva Ouali for sharing this recipe. 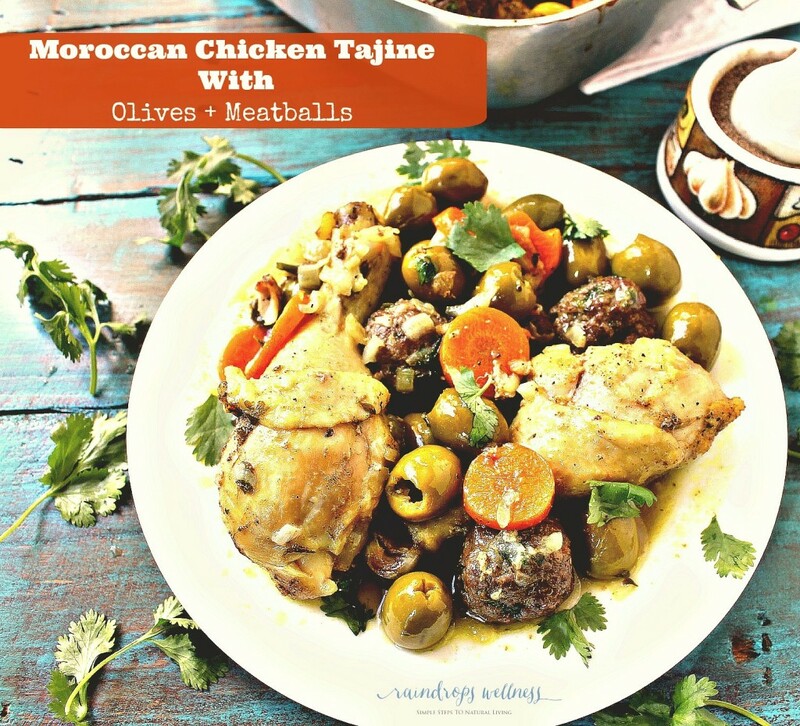 I tried this #Tajine and all my family love it.